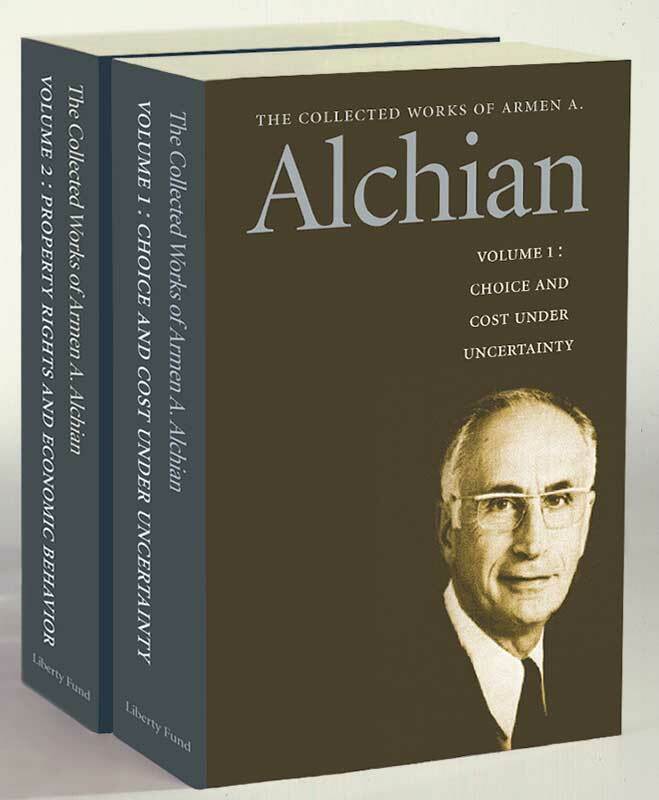 Liberty Fund is proud to present, in two volumes, The Collected Works of Armen A. Alchian, bringing together Alchian’s most influential essays, articles, editorials, and lectures to provide a comprehensive record of his thinking on a broad range of topics in economics. Armen Alchian has helped found several schools of economic thought and is the founder of the UCLA tradition in economics and one of the most influential voices in the areas of market structure, property rights, and the theory of the firm. Daniel K. Benjamin is Professor of Economics at Clemson University.